When was the Kansas flag Adopted and when was it first flown? Who designed the Kansas flag and how was it first used? How am I to fly the Kansas flag with my American flag? Where can I buy a Kansas flag? The flag of the state of Kansas was adopted in 1927. 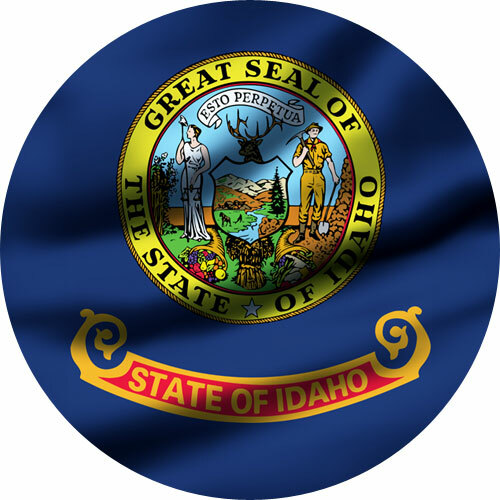 The elements of the state flag include the state seal and a sunflower. 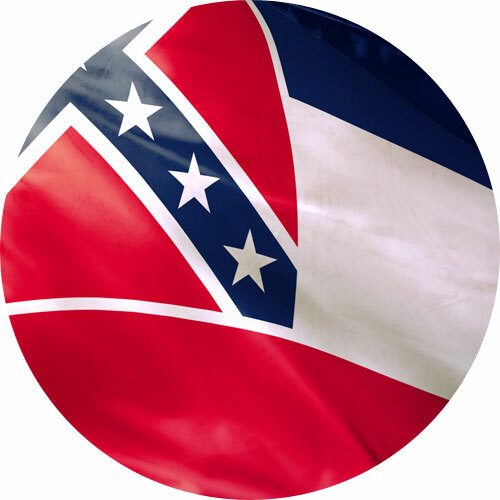 This original design was modified in 1961 to add the name of the state at the bottom of the flag. The flag was first flown at Fort Riley by Governor Benjamin S. Paulen in 1927 for the troops at Fort Riley and for the Kansas National Guard. The flag of Kansas was designed in 1925 by Hazel Avery. 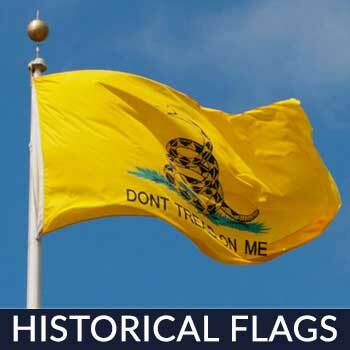 The flag was first used in a Fourth of July parade in Lincoln, Kansas. What are the designs on the Kansas flag and what do they represent? The official flag of Kansas is represented by a dark-blue silk rectangle arranged horizontally with the state seal aligned in the center. 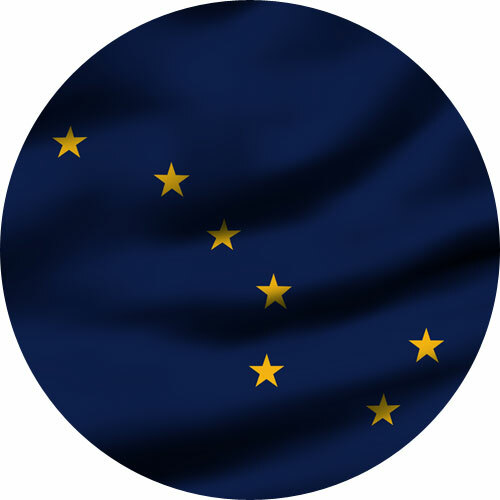 Above the seal is a sunflower which sits over a bar of gold and light blue. Below the seal is printed the name of the state “KANSAS”. 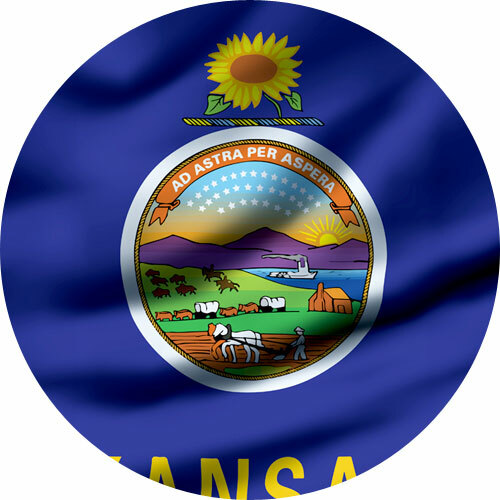 The state seal on the flag tells the history of Kansas and his figures represent pioneer life. The seal contains a rolling landscape with a rising sun, representing the East; a river and steamboat represents commerce; a settler’s cabin and a man plowing a field stands for agriculture; a wagon train heading west exhibit American expansion; Indians hunting American Bison represent the buffalo fleeing from the Indians; a cluster of 34 stars represents Kansas as the 34th state to be accepted into the Union; and the State motto “Ad Astra per Aspera” – Latin for “To the Stars through Difficulties”. When flying the Kansas flag with the flag of the United States on the same pole, the flag of United States must always be at the top and the Kansas flag should be the same size or smaller. When It is flown on separate poles, the Kansas flag will be to the left of the flag of the United States situating the U.S. flag in the position of honor, which is to the right of the other flags. 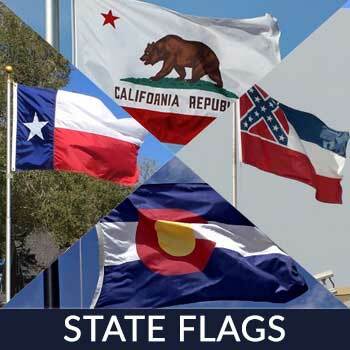 When buying a state flag and you want it to be 100% made in the USA, then try “Star Spangled Flags”! 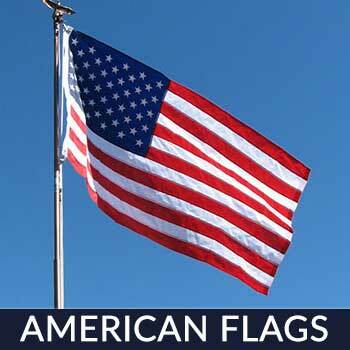 Their flags are 100% made from materials that are even 100% made in the USA. 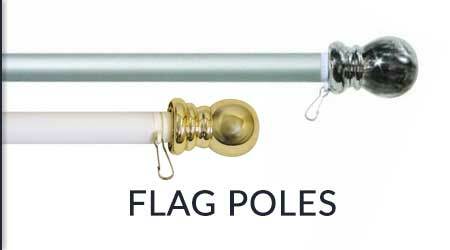 They treat their flags with a UV protectant that keeps them beautiful even in the bright sunshine. They are made of a durable nylon material and have extra stitching that keeps them strong and helps prevent unraveling and fraying. The State of Kansas is located in the Midwestern region of the country and bordered by Colorado on its west, Oklahoma on its south, Missouri on its east and Nebraska on its north. Its official nickname is The Sunflower State because of its (Sunflower’s) adaptability to Kansas soil. Almost every prairie in this state had sunflower growing over it just like grass. The nickname was made official in 1903. No dead animals may cross Kansan Avenue: Sec. 54-5 states that “Hauling on Kansas Avenue restricted. No stable manure… dead animalsshall be hauled along Kansas Avenue except over the Kansans Avenue Memorial Bridge. It is illegal to sing, whistle, or hoot from 11PM to 7AM: Sec. 54-158 Yelling, shouting, hooting, whistling, or singing on the public streets, particularly between the hours of 11:00PM and 7:00AM… so as to annoy or disturb the quiet, comfort… is unlawful. [li]Animal-drawn vehicles are not allowed (poor Santa): Ord. 1586A 1 (part), 1997 This law states that it’s unlawful to drive or operate any animal drawn vehicle on any street, highway, public ground unless during a parade. A ten-day event that draws more than 100,000 visitors annually. 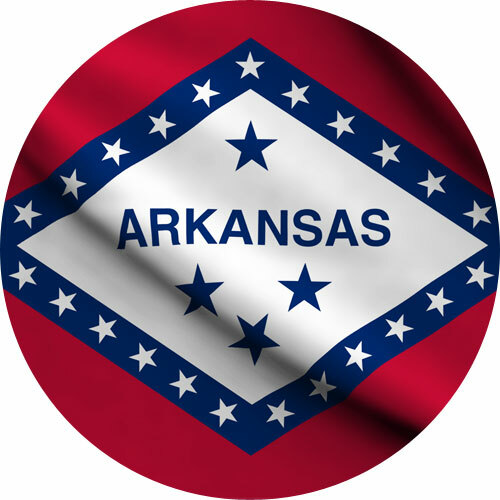 It features craft shows with over 200 crafters joining in, a western parade, beauty pageants, a barbecue contest, and other fun activities for the whole family. This event showcases various tulips, daffodils and other flower varieties by the thousands. Nature lovers come in to enjoy the botanical garden, 50-yard cascading rock rivulet, stone walkways and stone bridge. This event is included in the country’s list of most important festivals. If you’re a a proud Kansan and you want to dive in and get into the spirit of these celebrations then dress up your home. And what better way to decorate your home than by flying a flag, it’s appropriate for every celebration and it will never go out of style. Show true Kansan pride and fly a flag in your home. Looking for a flag that will do the job? 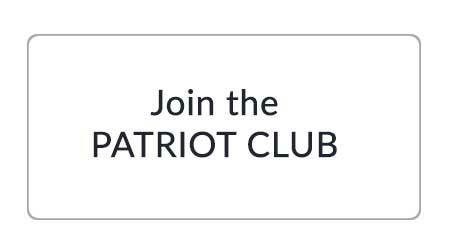 Want a flag that’s pretty and sturdy? Reach out to us! 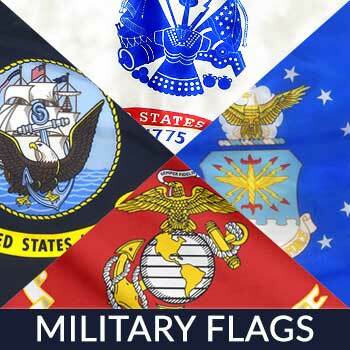 Our US Made Flags are fashioned from heavyweight 200 denier nylon and treated to withstand rough winds, harmful rays of the sun and chemical deterioration. Fly ends are fortified with quadruple rows of lock stitching to increase durability. It also comes in an attractive gift box that’s excellent for display and for giving as a gift to family and friends. Contact us today!